The history of Malton House is closely tied-in with the palaces of King James I and Charles I - the house is built on part of the site of the old palace and further extensive details about this can be found on the page for that palace. If you refer to the plan on that page of the re-constructed palace as it could have been in 1650 you'll see that the site of Malton House was originally the Lodging Rooms associated with the next-door King's Lodgings (now Kingston House - No.85 High Street) and there's even a possibility that some of this original building may still exist at the core of the house, though the external structure has been substantially altered over the years. Details gleaned from J.P. Hore's book about the Stuart kings and their time in Newmarket leads us to interpret that the site of Malton House is most probably at the location of part of the original Griffin Inn - the Inn that James I purchased in 1608 for £400 and subsequently converted the remainder of for use as his personal lodgings during his stays in Newmarket. As detailed on the page for the palace Thomas Fort's survey map (Clerk of Works for Charles II, 1719-1745) shows that the original Lodging Rooms (which actually were twice as deep front-to-back as Malton House) had been demolished during the Interregnum in 1650-1660. But by the 8th June 1756 survey map of Kingston House we have a building here called 'The Life', with some small stables on the left-hand side. 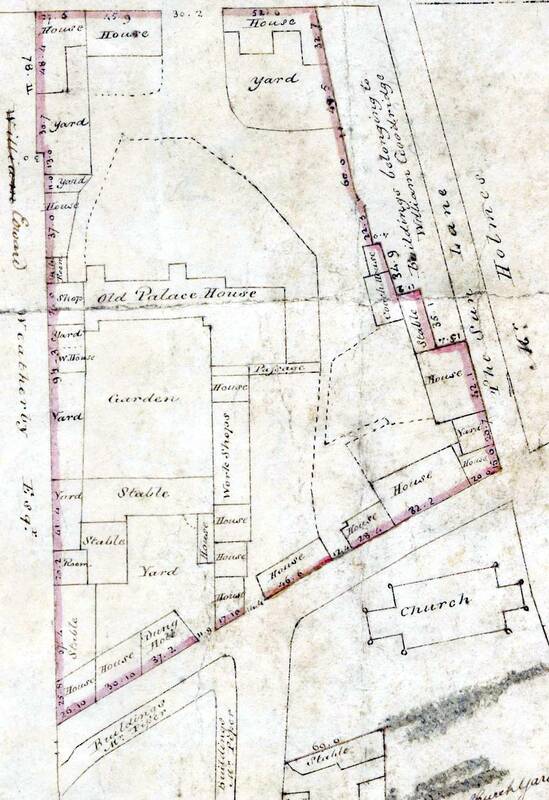 The 1831 survey map (which can be seen below) shows that there was still a house here (of slightly odd shape) and that the adjacent stables had become a 'Room'. This side room can still be seen today on the left of the main house in the photo below. 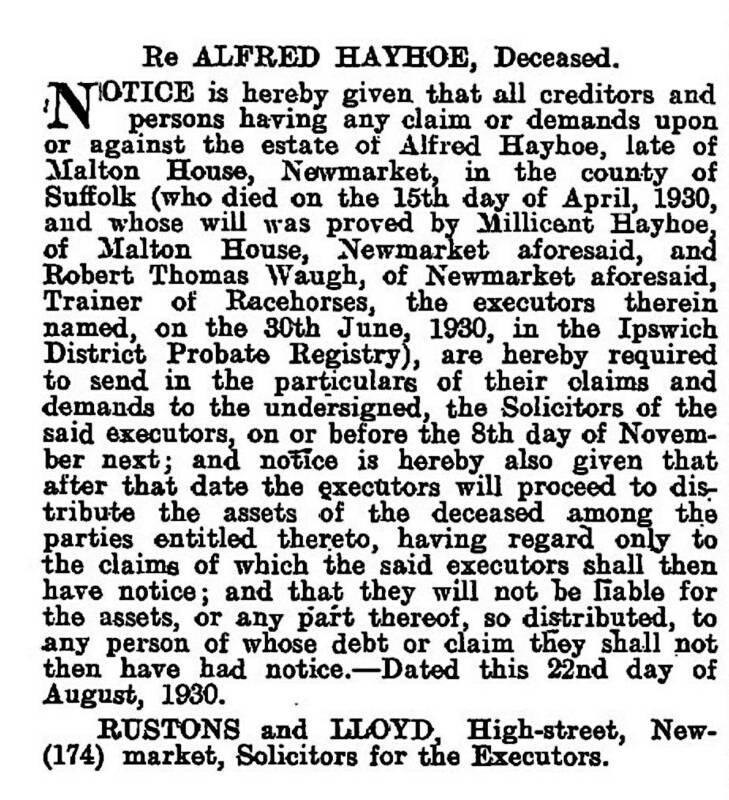 The racehorse trainer Alfred Hayhoe was born in 1852 in Malton, Yorkshire - clearly it was he who endowed the house with its present name. He'd originally followed in his father Joseph's footsteps as the royal trainer at Palace House Stables and is listed there between 1881 and 1904. In 1895 he also expanded into training at Exeter House stables, Exeter Road, where he can be seen living in the 1911 census, listed as a 'Retired Trainer Of Race Horses', and is still shown there in Kelly's Directory of 1916. He obviously moved from Exeter House to No.87 High Street sometime before 1925, when he's listed at this location in Kelly's Directory of that year. He didn't live here long as he died on 15th April 1930. Details about the businessman Stephen Piper can be found on the page for Kingston House, where he lived at one time. 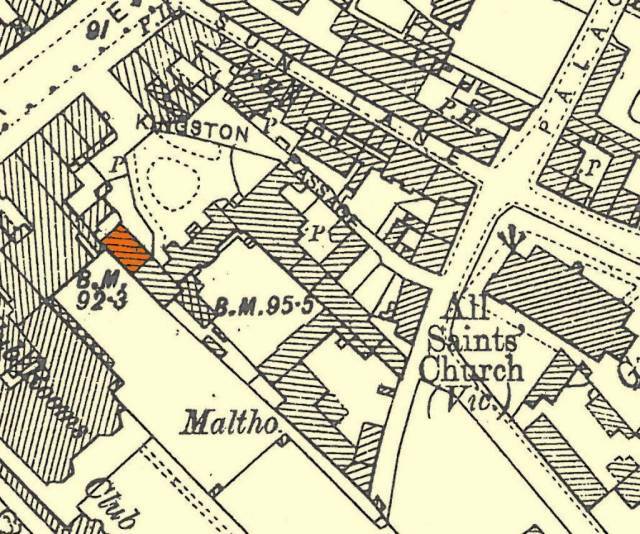 He purchased the entire old palace site in 1831 and Malton House was part of this purchase - Malton House is the 37' 0" long building labelled 'House', just to the right of the word Edward in the name Edward Weatherby in the map below ... with the 'Room' next door to it. but it followed a line from the side of Moons Toymaster down to about where the drain-hole cover is. Unfortunately as it seems that this house didn't haven't an individual identity until it was owned and named by Alfred Hayhoe, when you refer to the various censuses it's not at all obvious if it was ever lived in as a separate property before that time. 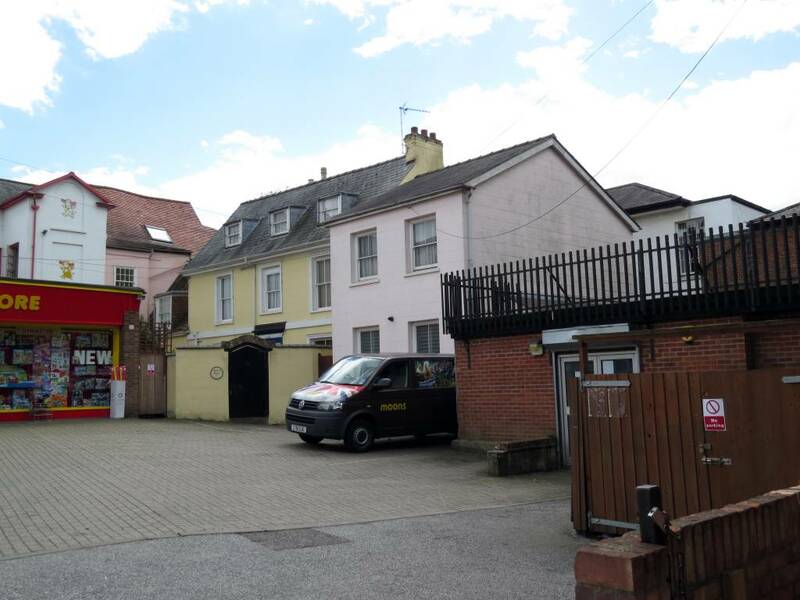 It's even possible that originally it could have been considered as part of Kingston House and may have been either No.1 or No.2 Kingston House in the addresses that were listed at various times ... or maybe it could have been the Kingston Lodge that gets a few mentions.